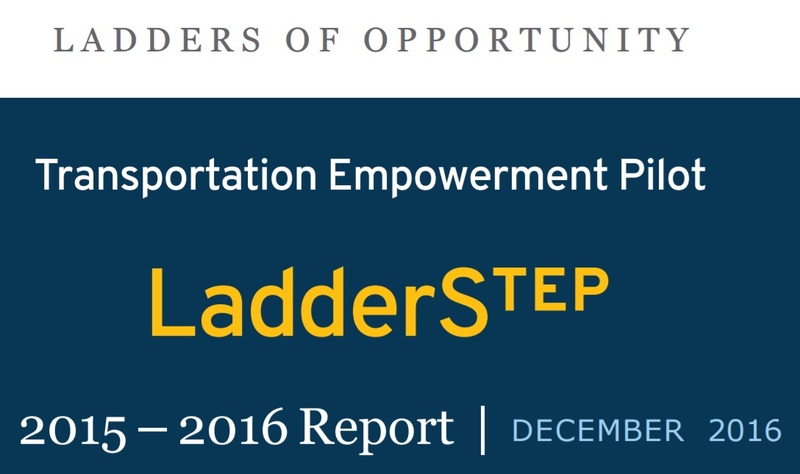 WASHINGTON – U.S. Transportation Secretary Anthony Foxx announced the release of the Ladders of Opportunity Transportation Empowerment Pilot LadderSTEP 2015-2016 Report highlighting the progress of seven cities to achieve upward mobility through transportation decisions in their communities. 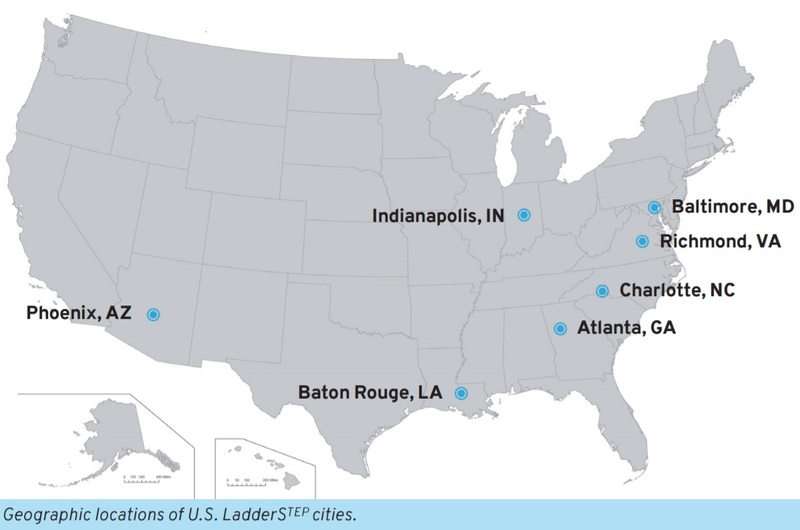 The Department launched the place-based LadderSTEP program in 2015 to foster sustainable economic development related to planned transportation projects. The goals of the pilot were to build and restore transportation connections, develop workforce capacity, and catalyze neighborhood revitalization in seven cities—Atlanta, GA; Baltimore, MD; Baton Rouge, LA; Charlotte, NC; Indianapolis, IN; Phoenix, AZ; and Richmond, VA. The Department worked with the Mayors’ Offices of each selected city to pick a “game-changing” project, convene local stakeholders to engage in the effort, discuss the local vision, and identify opportunities for the pilot project. DOT also worked with each of the Mayors’ Offices and relevant stakeholders to create a city work plan to establish a timeline and institute clear goals and strategies for the project. FHWA Division Office and FTA Regional Office staff provided technical assistance to each city in advancing their project goals. In Atlanta, city and federal staff benefitted by forming new strategic partnerships with local foundations to help stimulate economic development activity in the area. The city chose to focus on the Martin Luther King Jr. Drive Corridor Improvement Initiative, which received a $10 million Transportation Investment Generating Economic Recovery (TIGER) 2016 grant to provide new mobility options and increase access to transit, employment centers, and services. This project will continue to promote the core values of LadderSTEP once the pilot has concluded. In Baltimore, significant achievements include helping the city acquire funding for affordable housing on North Pulaski Street; allowing the city to adhere to its local hiring program while using federal funding on the project which employs local residents for construction; and coordinating with the Federal Railroad Administration (FRA) to avoid conflicts with an ongoing FRA project. Additionally, federal-level involvement in the project alleviated private investor concerns about any uncertainty of the project moving forward, which increased developer interest in the area. In West Baltimore, the North Avenue Rising Project received a $10 million TIGER 2016 grant to create a safer corridor along approximately five miles of North Avenue through pedestrian improvements, enhanced bus stops, and transit infrastructure that will increase access to employment centers and essential services for a low-income area continuing the LadderSTEP project area goals. In Baton Rouge, the additional federal staff and technical knowledge provided through LadderSTEP enabled the city to complete the TramLinkBR Project’s environmental review process in six months, rather than the typical 12 to 18 months. This environ­mental assessment is now in the public and agency review process. To help fund construction the city is seeking a Capital Investment Grant (CIG) from the Federal Transit Administration (FTA). Through LadderSTEP, FTA assisted the city in preparing a complete CIG application. On June 24, 2016, the city submitted a request to enter into the project development phase for the fiscal year 2018 CIG program. In Charlotte, the city secured $7.7 million in city tax dollars for design work for Phase 2 of the Gold Line Streetcar project and established a partnership with the Knight Foundation, which committed $1.5 million over three years to area revitalization. Furthermore, LadderSTEP served as a platform for bringing all partners together on multiple projects occurring simultaneously to help the city decide how to prioritize these projects. In Indianapolis, LadderSTEP support has helped advance the development and pending construction of the city’s first bus rapid transit (BRT) project. The BRT Red Line is planned along the most densely populated corridor in the state and will provide improved transit options for 133,000 college students, 140,000 employees and 60,000 residents who live within a half mile of the line. A large event is planned for 2017 focused on workforce mobility surrounding the BRT Red Line, which will involve new partners that were connected during the pilot. In addition, momentum from LadderSTEP helped Indianapolis successfully pass a ballot initiative for county-wide system improvements and secure a $75 million Small Starts grant from FTA. In Phoenix, a TIGER 2014 planning grant funded the development of an environmental assessment (EA) and con­ceptual engineering for the light rail project. Through LadderSTEP, FTA reviewed the draft EA document and advised the City of Phoenix on necessary edits. The South Central EA was approved for public circulation on May 6, 2016. DOT also organized a workshop, which involved a variety resource groups, included the Ford Foundation that was focused on Equitable Transit Oriented Development (TOD) and hosted a group of 60 community stakeholders who shared their vision for the project. DOT and the Local Initiative Support Corporation also worked with the city to rally community support for a transportation funding referendum, which passed and is contributing funds to the project. The city secured a $700 million transportation infrastructure invest­ment from the Ford Foundation for the Valley Metro light rail extension; began developing an Early Action Business Assistance Program in the corridor; and initiated an application for a FTA TOD planning grant, for which the FTA regional office provided guidance and resources on. Community support for the project has also increased significantly due to a shift in the way city staff are communicating project benefits. In Richmond, through LadderSTEP, DOT worked with the city to strategize a redesign of the commercial triangle in the Greater Fulton area and create a zoning and traffic pattern study, as well as a bicycle and pedestrian plan. These efforts have enhanced the transportation network and accelerated the project by providing additional staff resources to communicate with the public and key stakeholders and quickly built connections with other disciplines (e.g., housing). A BRT cooperation agreement is now in place.